DIRTBAG BOOKCLUB ~ Paddling Pacific Northwest Whitewater. 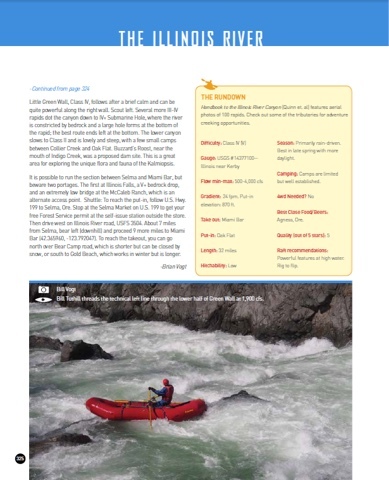 Reviewed byPriscilla Macy | DBP MAGAZINE ONLINE The World's Best Free Whitewater Publication. 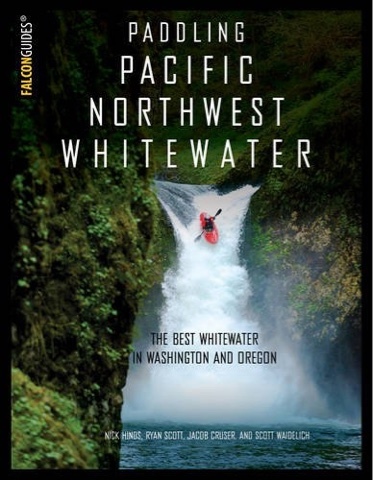 With over 100 contributing authors and photographers, Paddling Pacific Northwest Whitewater brings a huge amount of river beta into a format that caters to the present class IV/V paddler. The book features full color photos and maps, in a large 8.5 inch wide by 11 inch tall format. The new guide highlights 11 different regions, and over 240 run descriptions. The work is a culmination of community efforts of pulling together both beta and high quality photographs. 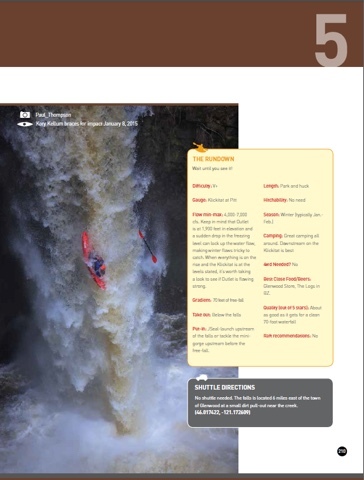 The main compilers of this guidebook, Nick Hinds, Ryan Scott, Jacob Cruser, and Scott Waidelich, pull together a combined knowledge of over 50 years of whitewater kayaking. 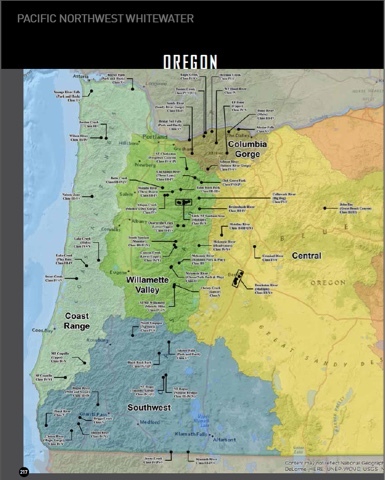 Paddling Pacific Northwest Whitewater is an updated resource that caters to the sport of whitewater paddling as we presently find it. When Soggy Sneakers, Paddling Oregon, and Washington Whitewater were written, Metlako Falls had not been boated, the Little White Salmon had not been paddled above 5’ and Summit Creek aka Skate Park Creek was not even on the radar. In this new book you will find updated gauge and flow beta that is consistent with modern paddling standards. The new guidebook provides detailed information not only on classic runs, as well as some lesser known, but also gives detailed information on waterfalls that would have seemed un-runnable 20 years ago. The book is as much a time capsule of this period in our sports history as it is a destination guide. Each run features: Difficulty, Gauge, Flows, Gradient, Length, Hitchability, Season, Camping, Raft Recommendation, and even recommendation to the best food and beer near the run. Support local paddle shops and purchase Paddling Pacific Northwest Whitewater starting in July or purchase on Amazon.